A strong immune system means healthy living. Personally, tea is one of my favorite things to drink: there’s such a wide variety; it’s great to drink warm when it’s cold outside, or drink cold when it’s hot outside; and it helps keep me healthy. Believe it or not, but there’s tea out there loaded with nutrients that can naturally strengthen your immune system and train it to function correctly. When your immune system functions correctly, it can easily fight off germs and sickness, which is a relief around this time of year when colds and the flu run rampant. What are our symptoms telling us? Quick disclaimer: I’m not a professional medical practitioner, but I’ve met with many, done my own research, and seen success on my own body to know what works well for me. Here’s some insights I’ve researched and learned so you can be better informed too; but if you have any questions, always consult a professional. The immune system provides resistance to infection and disease within our body. When we feel sick, like an itchy throat, runny nose, watery eyes, or boy fatigue, it’s a signal that our body is fighting off something that doesn’t belong. To get more technical, lymph nodes command the white blood cells to attack any virus or bacteria, which is why our glands swell up like golf balls when we feel sick. A cough wants to expel anything that irritates the airways in your lungs or throat. A fever is the body’s way of killing bacteria with heat. The immune system uses most of the body’s energy to fight an “invasion,” which is why we get tired so easily and resting is always recommended for the healing process to work. During the summer months when it’s warm outside, we’re out and about soaking up the sun and getting vitamin D. We also snack on more seasonal fruits and vegetables, drink more water, we’re less stressed, and, overall, in better spirits. Germs are around every day of the year, but we feel the consequences of it more during the winter months with colds and the flu. As it gets colder outside and there’s less daylight, we don’t enjoy the outdoors as much as we should. This also means we’re not getting enough vitamin D, and at times, we’re not eating enough fruits and vegetables, drinking enough water, and we feel more stressed because of the holidays. As a result, we’re more susceptible to getting sick. The best way to prevent illness is to boost your immune system. How drinking teas help prevent illness, naturally. Teas contain antioxidants that help regenerate and repair cells that can keep your immune system running correctly. When you pair these teas with flavorful additives, the extra vitamins and minerals help charge your immune system. They also soothe our symptoms, like dry coughs and itchy throat, and help us to relax so our body can get the rest it needs to fight illness. There are many variations of teas that can ease different symptoms besides just illness, like soothing menstrual pain, stimulating positive moods, and detoxifying the body. Here are some tea additives and their health benefits. Green Tea — it helps cardiovascular health. 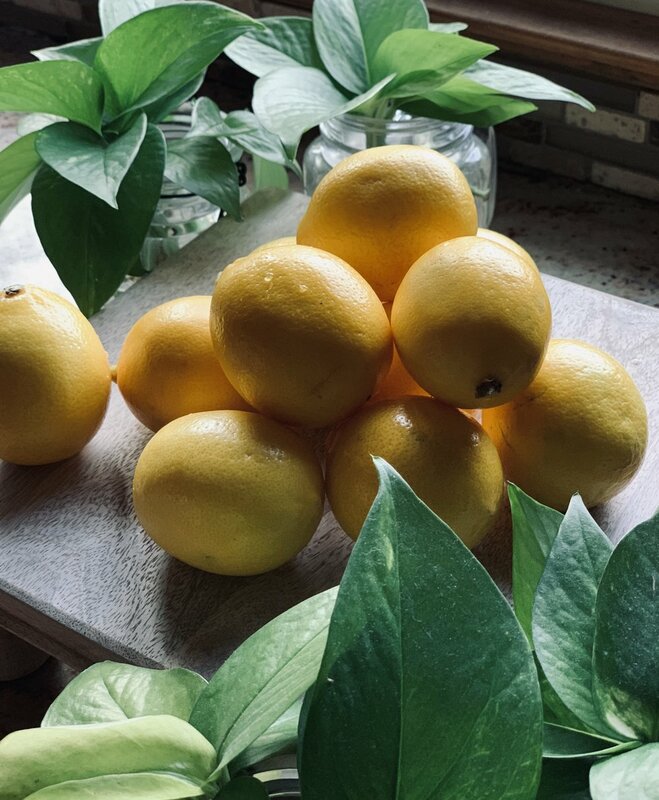 Lemon — it contains vitamins C and B6; aids digestion; and fights infections. Honey (Raw or Manuka) — it’s an antioxidant; anti-fungal; it kills germs; and it soothes the throat and soreness. Manuka honey can help heal intestinal lining and stomach ulcers, and it prevents future intestinal damage. Elderberry — enhances immune function; relieves nasal congestion; it’s anti-inflammatory, anti-cancer, and anti-viral; it soothes respiratory illnesses; and it’s high in potassium and vitamins A, B, and C.
Ginger — relieves nausea; prevents blood clots; it’s anti-inflammatory; it boosts immunity, energy; and it aids digestion. Apple Cider Vinegar — helps with digestion; regulates stomach acid and skin problems; relieves sore throat and PMS; and it increases energy. Hibiscus Tea — a versatile tropical plant that is an antioxidant, anti-inflammatory, and improves intestinal health. Echinacea — an herb that activates chemicals in the body’s immune system to decrease inflammation. It’s a very effective stimulant at fighting off colds and the flu. Here’s a recipe for immune-boosting tea. There are many brands of great tasting teas, but I usually switch between Traditional Medicinals Echinacea Plus with Elderberry and Yogi Echinacea Immune Support Tea because they taste great. According to their websites, these teas also contain alkylamides, which additionally stimulate the immune system. There are many flavor combinations you can make with tea, but below is my favorite recipe that includes the above listed boosters I drink for cold season comfort. If you have a favorite tea you recommend that I try, please share below in the comments! Place the peeled/diced ginger root into a pot or kettle of water. Then boil water for 7 minutes. Turn off the heat and steep tea for 3 minutes. While tea is steeping, measure out other ingredients into your favorite mug or thermos. Strain the ginger root and tea bag from water. Pour into mug or thermos with other ingredients. Stir and adjust flavor to your liking. In addition to drinking the right tea, here are some other ways you can strengthen your immune system. Sleep. Get plenty of rest so your body can heal and regenerate itself. Minimize stress. Do regular stretches, yoga, meditation, breathing, and exercise. Also, consider getting (or giving yourself) a massage to help with relief, circulation, and relaxation. Use essential oils. The aromas are therapeutic and have health benefits, like lavender oil for mental clarity and eucalyptus oil as a decongestant. You can use essential oils by sprinkling some oil on the tile walls of your shower, or adding them to essential oil diffusers and humidifiers. “Eat the rainbow” — I mean vegetables and fruits of every color, not Skittles (sorry). Eating an abundance of nutritional colors repairs damage from carcinogenic activity and provides optimal antioxidants. Moderate your coffee and sugar intake. Too much can weaken you white blood cells. Have less gluten and dairy. Less gluten means less inflammation, and less dairy means less congestion. Have probiotics regularly. There is good bacteria and bad bacteria. When we get sick, doctors may prescribe antibiotics to kill bad bacteria that’s making us sick. Unfortunately, these antibiotics also kill the good bacteria in our gut that helps support our immune system. So, regularly support that good bacteria with probiotic foods (e.g., yogurt, miso, and sauerkraut) or supplements, especially when they need to be replenished after you take antibiotics.